A new one-day NICS background check record was set on this year's Black Friday or the day after Thanksgiving. USA Today reports the FBI processed 203,086 background check requests on November 24th. This compares to 185,713 checks last year which had been the previous all-time one-day record. According to FBI records, four out of the five highest days have been Black Friday. This includes the years 2017, 2016, 2015, and 2014. The outlier was the Friday before Christmas 2012. 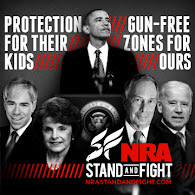 This was two days after then-President Obama said he planned to submit new gun control legislation to Congress in the aftermath of the shootings in Newtown, CT.
As I always caution, while NICS checks are a stronger indicator of firearm sales, there is not a one-to-one correlation between check and a firearm purchase. A check could be used for the purchase of more than one firearm. Furthermore, in many states, concealed carry permits substitute for the NICS check on a purchase. Finally, NICS background checks are used by some states as part of the carry permit process though I think it probably could be assumed that few of Friday's checks were related to carry permits.